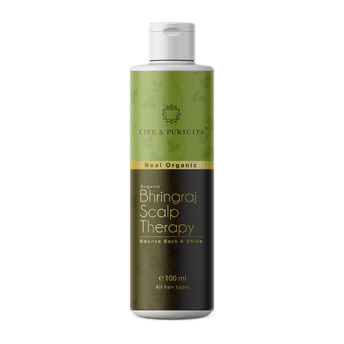 Organic Hair Revitalizing Oil by Life & Pursuits is a magical elixir for scalp nutrition and hair growth, it is power packed with rich Ayurvedic oils and herbs proven to effectively reduce hair fall, hair loss and dandruff, if used regularly. The oil is certified organic by USDA (USA), NATRUE (Europe) and India Organic. Its deep revitalization effect on scalp promotes growth of healthy, black and dense hair. Ideal oil for women, men and children of all ages.